16X8 Black Powdercoated Wheels for the H3 Hummer. 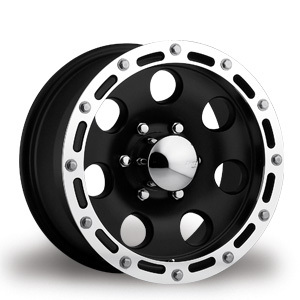 These are an excellent set of wheels that will make your Hummer stand out from the rest. The second picture shows them mounted on our Shop H3 with a set of Nitto Terra Grappler Tires size 285X70X17. It is also shown with a Readylift Suspensuion Leveling Kit. Price is per wheel.